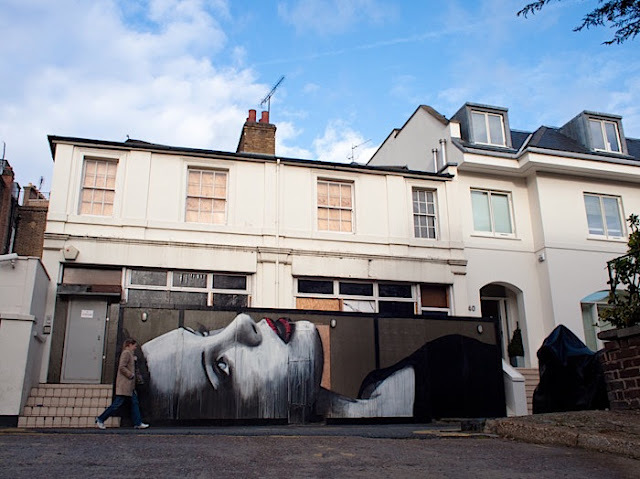 Australian street artist and Everfresh Crew member RONE, appears to have stopped over in London during the holiday period. The artist has been traveling since taking part in the Miami Underbelly Project back in November, taking in the Dominican Republic, Cuba, Jamaica, Paris, Hong Kong and of course London before heading back to Melbourne. 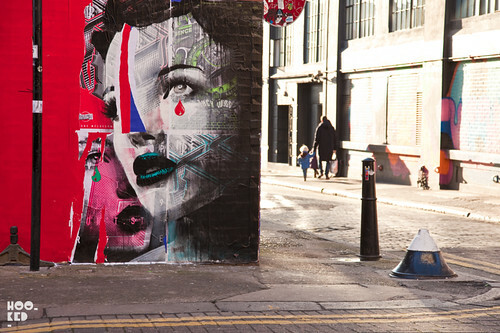 Pictured are two large pieces the artist put up during his visit to town, one a large mural and the other a series of paste-ups on Red Church Street. 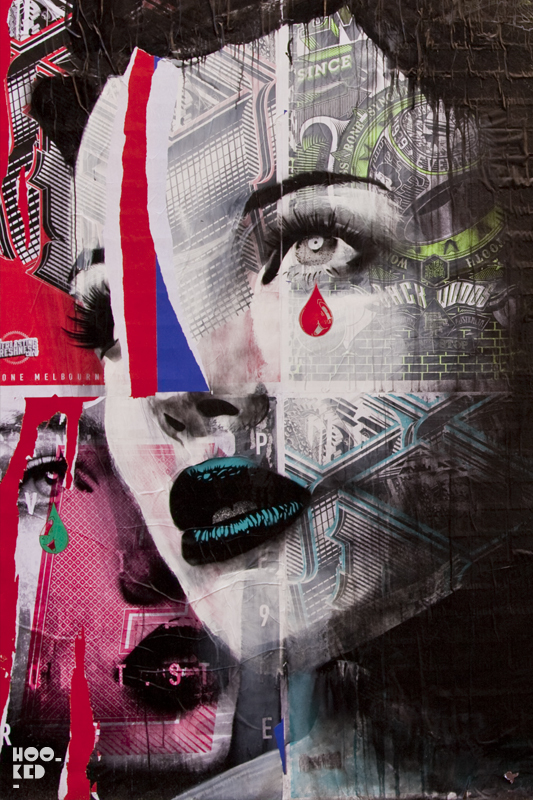 Check out Rone's photo diary featuring more photos from his travels over on the Everfresh blog. Great works by great artists. I hope that I also possess that skill. It's awesome!